According to federal officials, the two passengers attempted to smuggle the illicit substance via an audio speaker and whiskey bottle. 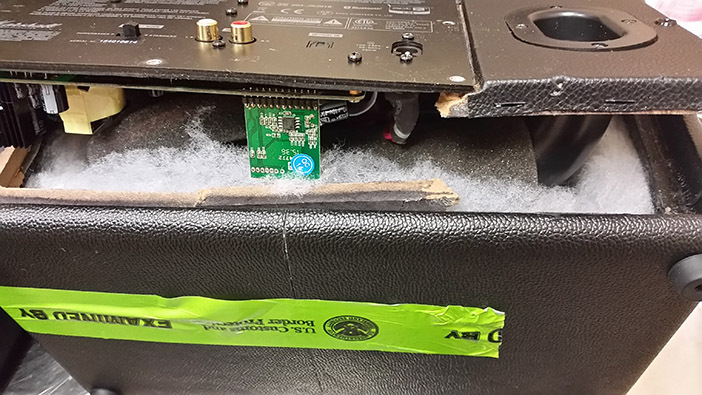 Federal officers recently caught two Colombian citizens attempting to smuggle heroin via a stereo speaker and a gift box of whisky at John F. Kennedy International Airport, according to U.S. Customs and Border Protection officials. On Sunday, March 26, Andres Uribe Rebolledo and his girlfriend, Yuly Valencia Sanchez, arrived at JFK on a flight from Punta Cana, Dominican Republic. According to federal authorities, during their examination, CBP officers discovered one Marshall brand speaker and one Glenmorangie brand whisky gift box that “felt unusually heavy.” Rebolledo and Sanchez were then escorted to a private search room where CBP officers further probed the speaker and gift box: Both produced a tan substance that tested positive for heroin. Approximately nine pounds of heroin with an estimated street value of more than $250,000 were seized.